is the forth member of our little crew. Shy by nature (yeah don’t trust the picture hahaha), it seems like she loves Shin too much. In fact she is going to stalk him. And for this reason she despise Kyu who is really close to her imaginary lover. After a few adventures she is going to get really close to Shin. 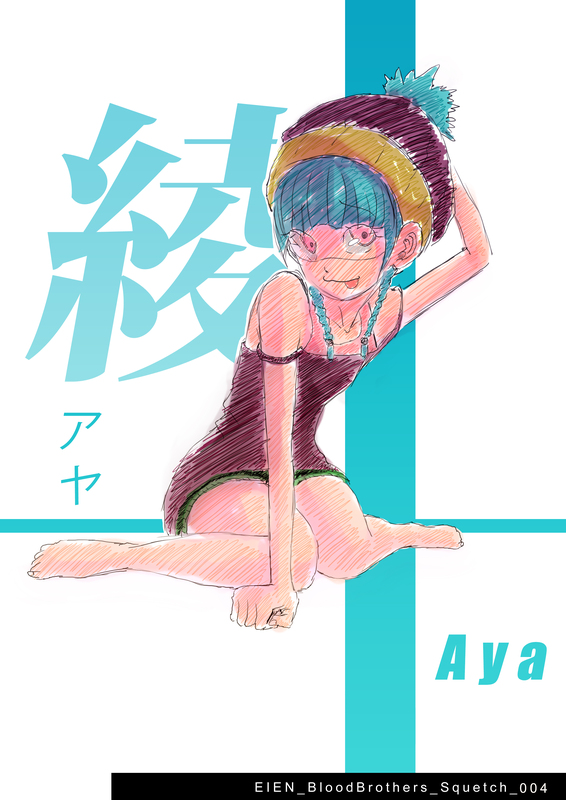 Aya almost never talk about herself. Even if she looks weak at first sight, she will eventually reveal incredible skills under the right circumstance. Elle est mignonne, mais je trouve que le visage manque un peu de contours et de caractère. Qu’en pensent les followers? Ok je vais tacher d’accentuer son caractere sur les prochaines images.